Wow, what a fantastic response to today's giveaway! Not that we are really that surprised - the prizes the winner will be receiving from Figure Eight Monograms is fabulous. 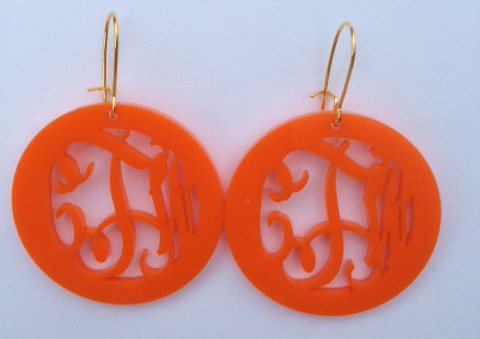 Orange monogrammed earrings? Yes please! Congrats Kristi! Please email us at clemsongirlblog@gmail.com to claim your prize! Thanks again to Figure Eight Monograms for sponsoring today's giveaway. We hope you took some time today to check out all of the cute stuff on their website!